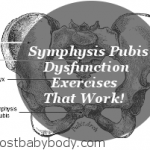 Symphysis Pubis Dysfunction Exercises – Don’t Just Manage the Pain! Symphysis pubis dysfunction (SPD) plagues thousands of pregnant women every year! It's a nightmare to go through and most pregnant women seeking ways to treat it and make it go away, are simply told how to manage it.